​The quarterly meeting of the Pennyrile Advisory Council on Aging met on March 8, 2017. Council members and guests received updates from AAAIL staff regarding programs, services, waiting lists and upcoming events. 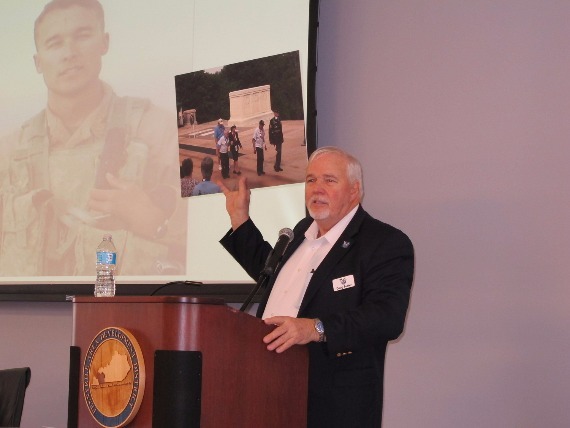 The guest speaker was Doug Foster with Honor Flight- Bluegrass Chapter. He provided information and history on the Honor Flight and how Veterans of WWII, Korea and Vietnam may apply. If you know a Veteran who may be interested, please contact Jill Collins at [email protected] or call 1-866-844-4396.